Friday was Lexa’s fifth Birthday she is one of my favorite clients. I gave her first cut three years ago. She absolutely wont let anyone touch her but me how cute:-) I am her personal stylist (wish i had one when i was her age)! 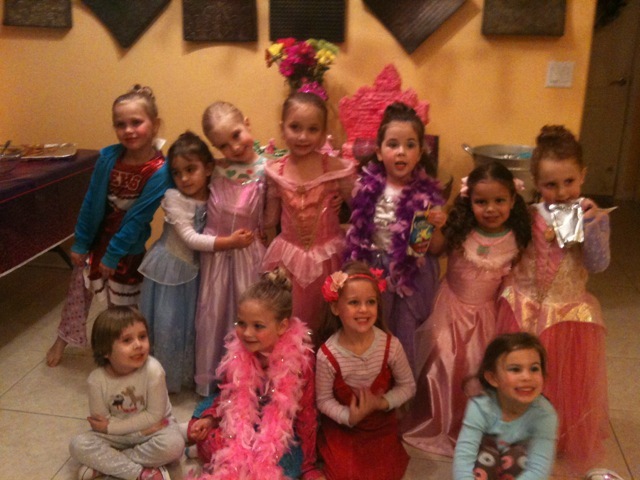 She choose to have a pajama princess party. 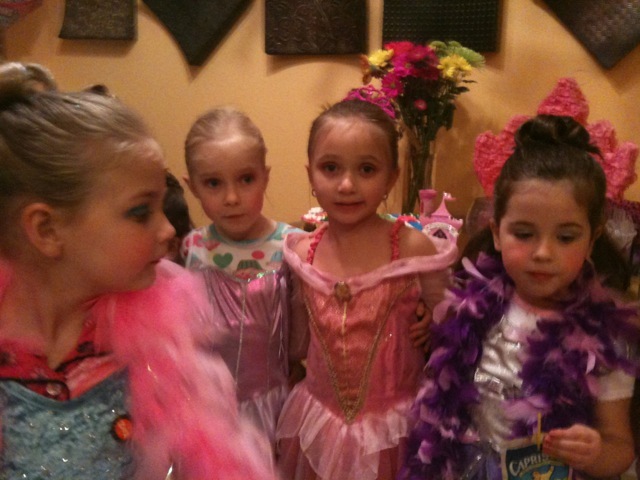 Which the girls come in pj’s and we transform them to princesses. The all got to pick out a princess dress to wear for the party. Then we started with the makeover which included a up do and age appropiate makeup. After that the girls got glitter spray in the hair and boa’s to match dresses. Now its time for the run way show. I had a brief modeling class first they all learned how to strut down the runway very well;) They were definitely not a shy bunch. Then it was time for cake and off to do the pinata. The girls could not leave without a glitter body tattoo which can last up to two weeks. The butterflies on the arm was art of choice. The girls had a blast none of them wanted to leave some were even crying :(. I was so happy they had a good time and all moms were pleased. The part that really melted my heart was as i was leaving Lexa runs out side and says Alicia i love you so much thank you!